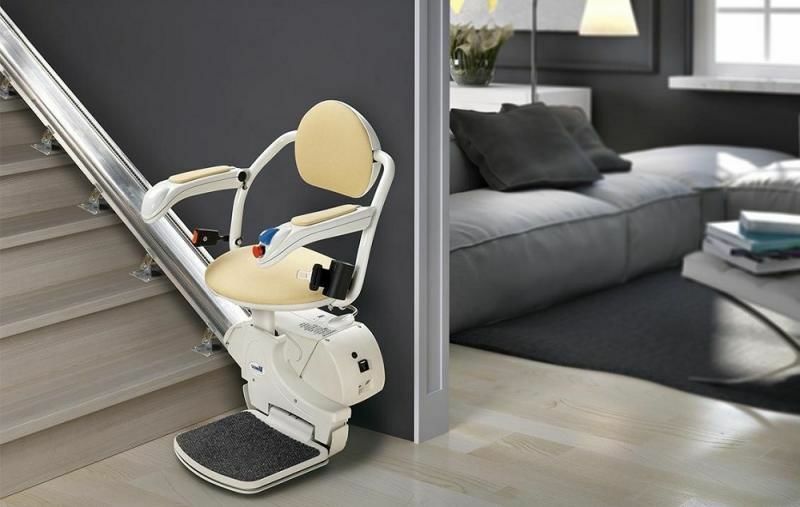 IIschia is the stairlift suitable for straight staircases, with an unique technology wich ensures full comfort and safety. staircase: this makes it easy to install and minimises installation procedures. The joystick placed on the armrest ensures the control of the course in a functional, simple and direct way; the folding seat opens and closes easily, and the radio controls allow to manage the stairlift calling it to the desired floor. Decidedly flexible and truly compact for every room, the Ischia seat is also available with a folding guide to aid installation even in confined spaces; in addition, for customers with the most sophisticated needs, it features the revolutionary sliding guide, that provides motorised side travel on the staircase. staircase. All of this is completed with a safety belt featuring an automatic belt winder. to the full seat rotation, landing on the floor is easy and comfortable.